Shake all except soda with ice cubes. 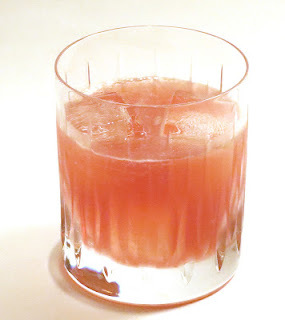 Strain into a double old fashioned. Add soda and fresh ice cubes. Place the naan on two large baking sheets. Add the cheeses, mayonnaise, and diced jalapenos to a medium bowl and stir well to combine. Spread the mixture over the naan. Finely dice the bacon and sprinkle over the naan. 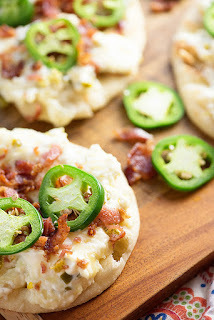 Top with extra slices of jalapeno, as desired. Bake for 8 minutes. Serve hot or at room temperature. For the cranberries, combine 2 cup of the sugar with water in a small saucepan. Heat over low heat, and stir until sugar dissolves. Do not bring to a boil. Remove from heat as soon as sugar is dissolved. In a large bowl, add cranberries. Top with sugar syrup and refrigerate 8 hours or overnight. After it has soaked for at least 8 hours, drain off syrup completely and allow to sit in strainer for at least 15 minutes. Pour remaining 1 cup sugar in a large ziploc bag, add cranberries and shake. Empty contents of bag onto a wire rack (with foil underneath to catch the mess). Let cranberries dry for at least an hour. Store in refrigerator until ready to garnish cupcakes. For the cupcakes, bake cake mix according to package for 24 cupcakes. Pierce tops of cupcakes immediately after cooking. Combine boiling water with JELL-O gelatin, stir until dissolved. Spoon gently over cupcakes, allowing to sink into fork holes. Refrigerate at least 2 hours or overnight. For the frosting, melt chocolate according to package directions. Beat cream cheese and butter in a large mixing bowl for about 4-5 minutes, until fluffy. Add melted chocolate, vanilla, and powdered sugar. Beat for another 2-3 minutes until fluffy. 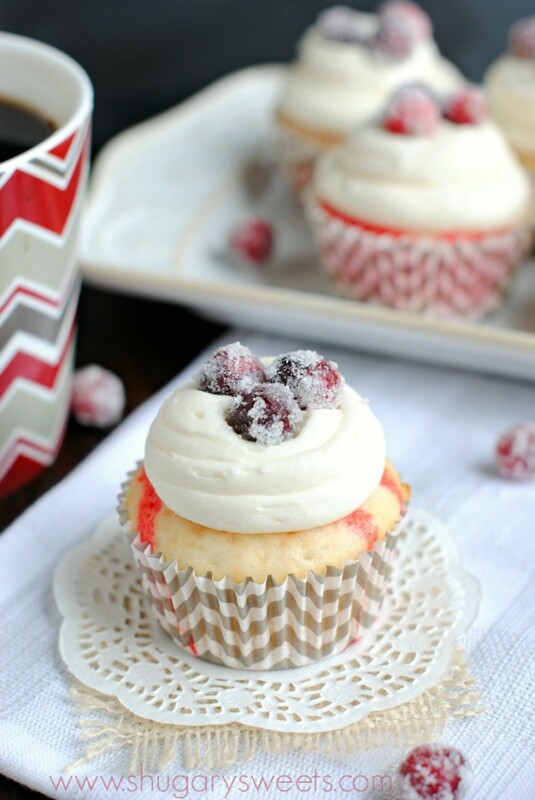 Pipe onto cupcakes and garnish with sugared cranberries. ENJOY!